2019 Kia Soul ! $225/month for 36 months $3,500 Due at Signing Offer valid on 2019 Kia Soul !. Valid on VIN: KNDJX3AA1K7019742, KNDJX3AA6K7007506, KNDJX3AA2K7007065. $225/month for 36 months. $3,500 due at signing. MSRP starting at $23,985. Subject to credit approval. Not all buyers will qualify. No Security deposit required. Excludes taxes, tags, registration and title, insurance and dealer charges. Lessee responsible for registration, insurance, maintenance, excess wear/tear & for mileage over 12,000 miles per year at $0.20/mile. A negotiable dealer documentary service fee of up to $150 may be added to the sale price or capitalized cost. Exp. 4/30/2019. 2019 Kia Forte S (featured vehicle) $185/month for 36 months $3,500 Due at Signing Offer valid on 2019 Kia Forte S Premium Package (c3442 015). Valid on VIN: 3KPF34AD1KE046103, 3KPF34AD9KE017206, 3KPF34AD5KE017204. $185/month for 36 months. $3,500 due at signing. MSRP is starting at $22,285. Subject to credit approval. Not all buyers will qualify. No Security deposit required. Excludes taxes, tags, registration and title, insurance and dealer charges. Lessee responsible for registration, insurance, maintenance, excess wear/tear & for mileage over 12,000 miles per year at $0.20/mile. A negotiable dealer documentary service fee of up to $150 may be added to the sale price or capitalized cost. Exp. 4/30/2019. 2019 Kia Optima S $225/month for 36 months $3,606 Due at Signing Offer valid on 2019 Kia Optima S (53222). Valid on VIN: 5XXGT4L32KG351948. $225/month for 36 months. $3,606 due at signing. MSRP $25,090. Subject to credit approval. Not all buyers will qualify. No Security deposit required. Excludes taxes, tags, registration and title, insurance and dealer charges. Lessee responsible for registration, insurance, maintenance, excess wear/tear & for mileage over 12,000 miles per year at $0.20/mile. A negotiable dealer documentary service fee of up to $150 may be added to the sale price or capitalized cost. Exp. 4/30/2019. 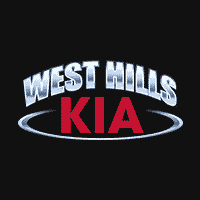 Why Buy From West Hills Kia? If you’re looking for a new Cadenza, Forte, Optima, Optima Hybrid, Rio, Sedona, Sorento, Soul, or Sportage, you can count on our Kia dealership to have the trim level and colors you want. Even if you’re not sure which Kia is best for you, our knowledgeable Seattle area sales staff will answer all your questions and help you find the right car, truck, or SUV for your style, needs and budget.